Researchers from the School of Computer Science have won over $1.5 million dollars in new research funding from the Australian Research Council. 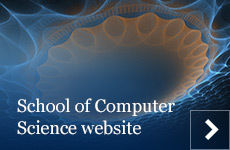 This will support research in Computer Vision, Medical Imaging, Software Engineering and the Internet of Things. Deep Learning has achieved incredible success at an astonishing variety of Computer Vision tasks recently. This project aims to convey this success into the challenging domain of high-level image-based reasoning. It will extend deep learning to achieve flexible semantic reasoning about the content of images based on information gleaned from the huge volumes of data available on the Internet. The project expects to overcome one of the primary limitations of deep learning and will greatly increase its practical application to a range of industrial, cultural or health settings. This project aims to develop novel methods for discovering and visualising optimal bio-markers from chest computed tomography images based on extensions of recently developed deep reinforcement learning techniques. The extensions proposed in this project will advance medical image analysis by allowing an efficient analysis of large dimensionality inputs in their original high resolution. In addition, this project will be the first approach capable of discovering previously unknown biomarkers associated with important clinical outcomes. The project will validate the approach on a real-world case study data set concerning the prediction of five-year survival of chronic disease. This project aims to create technologies for automatically repackaging, interpreting, and aggregating software development activity. The project will devise new natural-language summarisation approaches and productivity metrics that use all data available in a software repository. This is likely to lead to knowledge and tools that allow organisations to quickly integrate new developers into existing software projects, to improve project awareness, and to increase productivity goals. The outcomes would include a comprehensive decision and awareness support system for software projects, based on automating the creation and continual updating of developer activity summaries and measures. This project aims at establishing a large-scale, real-world experimental facility for the Internet of Things (IoT), which is currently missing in Australia, as well as in the rest of the world. The project is expected to be an essential instrument to achieve Australia’s leadership on key enabling technologies of the IoT, and to provide Australian research community with a unique platform for large-scale experimentation and evaluation of IoT technologies and services. The project will also serve as a vehicle for the education and training of Australia’s next generation of scholars and engineers, and contribute to Australia’s scientific visibility.